Rhythmic Gymnastics of Indiana: About - Experience the beauty of the Sport. 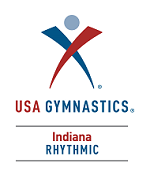 Rhythmic Gymnastics of Indiana is the only club in Indiana offering the competitive Junior Olympic program of Rhythmic Gymnastics. Our goal is to provide quality recreational and competitive programs in a fun and supportive environment. Julia Workman. 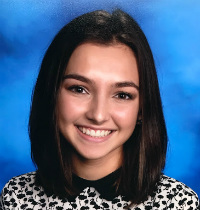 Mrs. Workman is the Director, Head Coach and Choreographer at Rhythmic Gymnastics of Indiana where she works on creating top rhythmic gymnasts. Her passion for the sport and the sport's competitiveness has expressed itself in her students' accomplishments. Julia's students have been chosen multiple times to participate in the national Future Star camp held at the Lake Placid Olympic Training Center in New York as well as handpicked three times to join the prestigious Youth Elite Squad, which is also held at the Lake Placid and the Huntsville Texas Olympic Training Centers. Julia's students have also placed high in both regional and national competitions. Julia was born in Odessa, Ukraine, where she started rhythmic gymnastics at a young age. She continued maturing in the sport until she was a national level rhythmic gymnast. As a teenager she moved to the USA and started coaching. Coaching has proven to be her passion. Her love of the sport has allowed her to produce a successful program within both the Louisville and the Indianapolis areas. 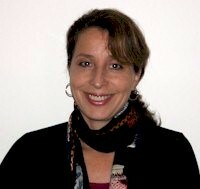 Julia is the Indiana State Chairman for Rhythmic Gymnastics, a Professional member of USA Gymnastics and Safety Certified and has 22 years of experience as a Rhythmic coach. Since moving to the US, she has also received a Master's Degree in Electrical Engineering. Julia and her husband have two daughters and a son, who also love the arts. So Yon Nam. Ms. Nam studied classical ballet in her native Korea, entering the Seoul Art High School in Korea and majoring in dance. Upon graduation in 1993 she went on to Moscow`s Bolshoi Ballet Academy studying the Russian Vaganova style. In 1995 she was invited to join the world-renowned National Ballet Company of Korea. Since joining the National Ballet Company of Korea, Ms. Nam has danced many leading roles in classical ballets including Giselle in Giselle , Nikia From La Bayadere and Odette in Swan Lake. She toured internationally with the National Ballet Company of Korea. From 1999 to 2005, Ms. Nam danced with Ballet Internationale, where she performed many principal roles. She has taught master classes for universities and studios in Korea. Marina Cridge. Miss Cridge trained at Rhythmic Gymnastics of Indiana from Level 4 to Level 9. At age 15, Coach Julia recommend to her parents to go to Chicago on weekends and train with Olena Vetrichenko where she can train at more competitive environment with other Level 9 students. Marina qualified for Level 10 in 2016. Coach Marina has had a stellar Rhythmic career which included: Future stars (2011), Elite squad (2012 - 2016), attended camps with Liubov cherkashina, Amina Zaripova, Margarita Mamun, Arina Charopa, Julie Zetlin, trained at OTC in Houston and Lake Placid, National team training camp (2016), attended workshops and competed in Russia with Mamun and Amina Zaripova, Region 3 Team member for Level 6, 7, 8, Region 3 Champion level 7, 3rd place LA Cup Level 9, 1st place hoop, 2nd place AA Spring Fling International Level 9. Rhythmic Gymnastics of Indiana is thrilled to have Marina Cridge assist with coaching of all team levels and recreational classes.